This Week In DOCTOR WHO History: Jan 15th to Jan 21st | Warped Factor - Words in the Key of Geek. It's Sir* Thomas Stewart Baker's birthday this week in Doctor Who history. For our first day in Doctor Who history this week we nearly have a Dalek clean sweep - still two out of three ain't bad! Episode 10 (one of only three surviving from this story) of the epic First Doctor adventure The Daleks' Master Plan (entitled Escape Switch) aired in 1966 and was watched by 9.5 million viewers. Moving on to 1972 we have episode three of Day of the Daleks, which drew an audience of 9.1 million. Finally, on this day in 1977 11.3 million people tuned in to watch part three of the Fourth Doctor adventure The Face of Evil. The pure historical adventure The Romans began on this day in 1965. Episode 1 was entitled The Slave Traders and was watched by 13 million viewers. Two regenerations and 6 years later, Terror Of The Autons episode three drew an audience of 8.1 million. 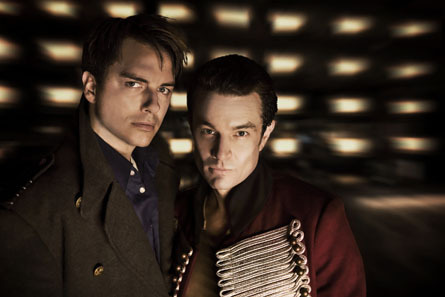 Also on this day, series two of Torchwood got underway on this day in 2008 with Kiss Kiss, Bang Bang. The battle of the cheekbones was watched by 4.22 million viewers. Three episode threes for us to enjoy today. First up it's Spearhead From Space which was watched by 8.3 million viewers on this day in 1970. Six years later The Brain of Morbius drew an audience of 10.1 million, and finally in 1981 8.3 million tuned into Warriors' Gate. As Dalek-mania was starting to grip the children of Britain we head back to 1964 for part 5 of The Daleks (entitled The Expedition) which was watched by 9.9 million viewers. Five years later a mechanical menace of a different kind was troubling the Second Doctor when episode four of The Krotons was broadcast to 7.1 million viewers. Yet another robotic foe, and this ones a giant! 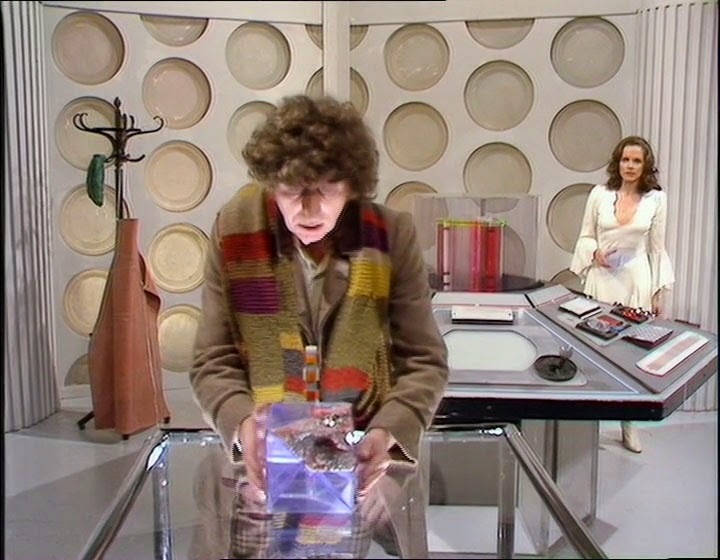 In 1975 part four of the Fourth Doctor's debut story Robot draw an audience of 9 million. His successor was on to his second adventure, with part one of Four To Doomsday broadcast Monday January 18th 1982 and watched by 8.4 million. In his sophomore season the Fifth Doctor was going up against the Mara, again! 6.7 million tuned in that Tuesday evening to catch part one of Snakedance. We got a lot going on today. Starting with part two of Invasion of the Dinosaurs which was broadcast this day in 1974 and watched by 10.1 million viewers. Viewers in 1980 should have begun a new adventure with the Fourth Doctor, but due to an industrial strike Shada was never completed so Season 17 was cut short, but I figured it was worth mentioning. Three from the Fifth Doctor for you next. Tuesday January 19th 1982 saw part two of Four To Doomsday broadcast at 7:05pm, and watched by 8.8 million viewers. 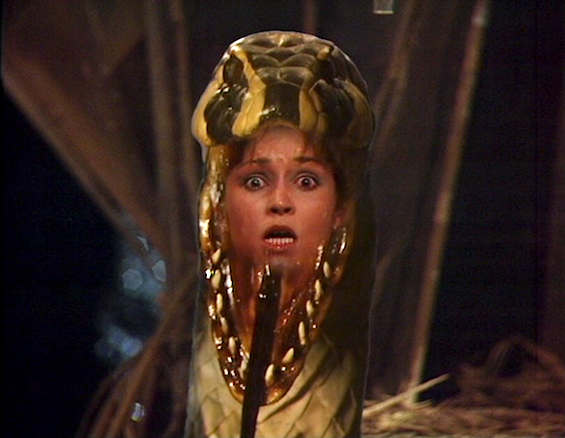 Part two of Snakedance aired the following year and was watched by 7.7 million. And in his final season, Peter Davison's Doctor began a new two-part adventure with The Awakening, broadcast Thursday January 19th at 6.41pm to an audience of 7.9 million. "Not even the sonic screwdriver can get us out of this one." Honestly America, just wtf were you thinking? But it does give us an excuse to look forward to Season 6 of New-New-New Who, and an episode broadcast on this day in 2068 called Let's Kill Cheeto Hitler. Assuming we're in any way still resembling a human race, 3.4 billion people will tune in to see the 27th Doctor disappointingly lock the Hair Fuhrer up in a cupboard! Meanwhile, 100 years previous, 6.9 million people were enjoying Who of the Classic variety with episode five of the Second Doctor adventure The Enemy of the World (please insert your own Trump joke here). Also on this day in 1973, a whopping 11.9 million people tuned into the fourth and final part of The Three Doctors. The day Babyfingers gets his tiny hands on the nuclear launch codes also happens to be Tom Baker's birthday. 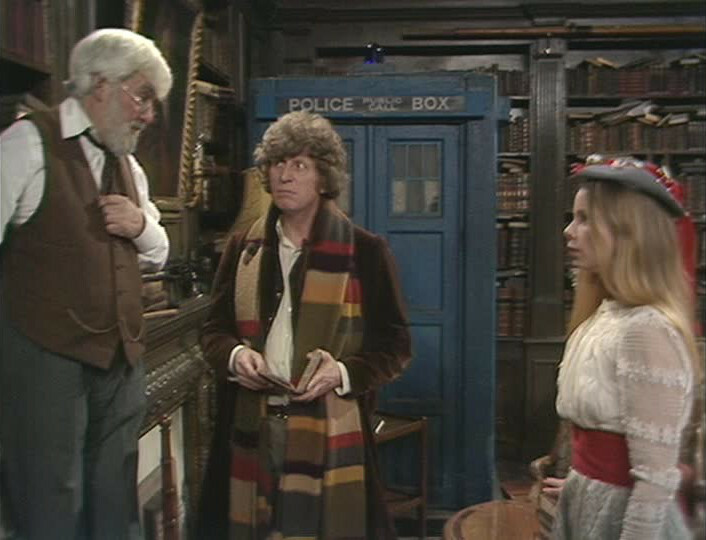 Born January 20th 1934, Tom donned the scarf for a brand new Fourth Doctor adventure on this day in 1979. Part one of The Armageddon Factor (...and here) drew an audience of 7.5 million. One more TV broadcast for you, and it came along on Friday evening at 6.41pm back on January 20th 1984. It was part two of The Awakening and it was watched by 6.6 million. It's also worth mentioning that on this day in 1996 the Third Doctor radio drama, The Ghosts of N Space began. 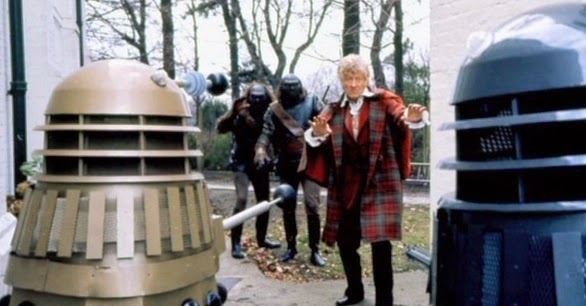 It was the final time Jon Pertwee portrayed the Doctor as he sadly passed away just four months after this was broadcast. 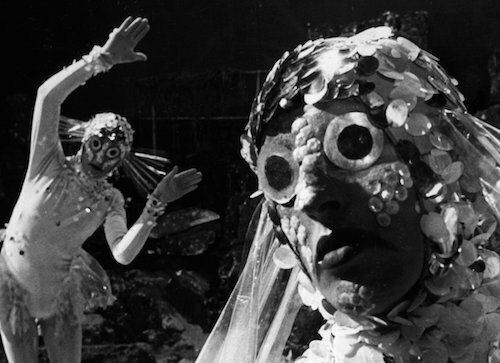 In 1967 episode 2 of The Underwater Menace drew an audience of 7.5 million viewers. 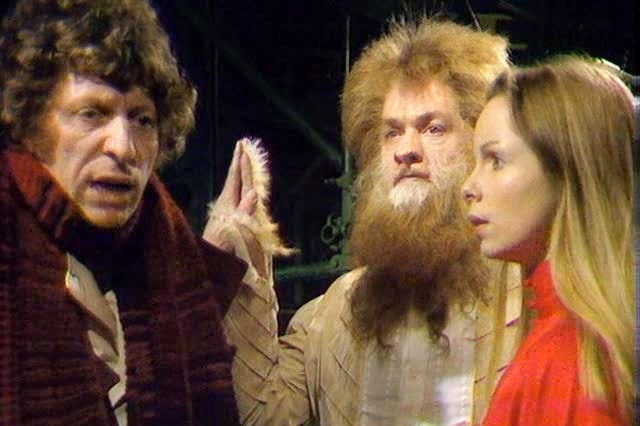 finally for this week in Doctor Who history we go back to 1978 for part three of the CSO oddity that is Underworld, which was watched by 8.9 million people. Did you watch any of these adventures live? We'd love to hear your memories about any of them. Tell us in the comments below. *Come on, where's his Knighthood?